Calling all foodies.. this is the tour for you! Famous for its fresh produce, and unique delicacies, where better to experience a food tour than the Queen Victoria Market. As the largest open-air market found in the Southern Hemisphere, the Queen Victoria Market is the heart of Melbourne and is the one-stop destination for food, shops, culture and heritage. Whether you're visiting Melbourne or native to the city, the Queen Victoria Market Ultimate Foodie Tour is an amazing package to dive into the many tastes, flavours and vendors of the esteemed market place. Embark on the Ultimate Foodie Tour and get ready to satisfy your cravings for unique and delicious food! The tastings will take place at a variety of market stalls, some of the items for sampling (dependent on what is fresh on the day!) includes Coffin Bay Oysters, pickled octopus, local goats' milk cheese, Victorian olives, fresh dolmades, and grilled peppered Kangaroo. 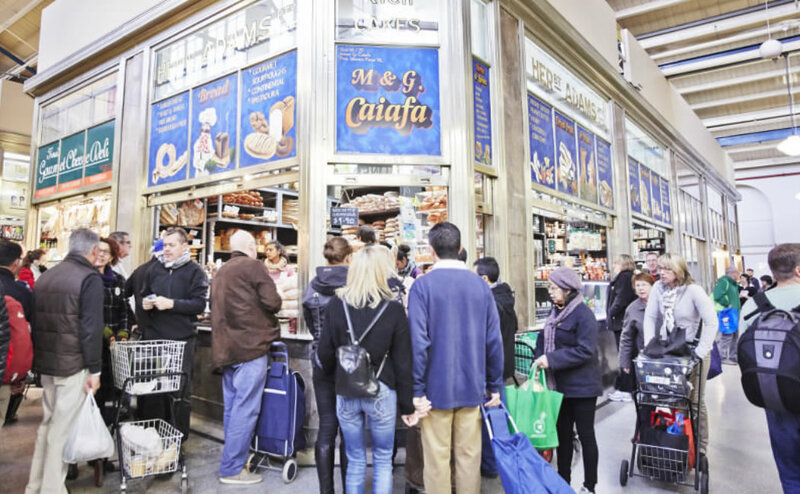 As you eat your way through the walking tour, your guide will immerse you in the local culture and heritage of the market and describe how it has come to form since 1878. As the tour winds down, you and your comrades can finish it off with a world-famous Melbourne coffee and jam doughnut. Tours depart at 9am and 11am on Tuesday, Thursday and Saturday. Don't miss out on exploring one of the most coveted markets in all of Australia - if not the world!